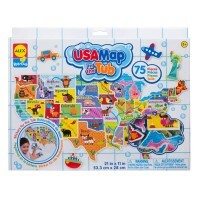 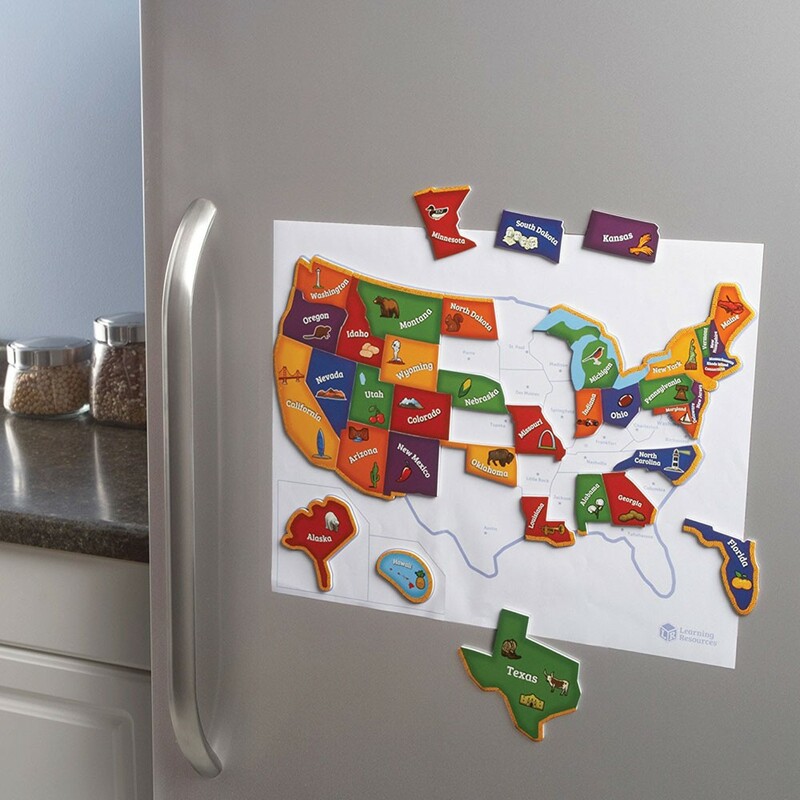 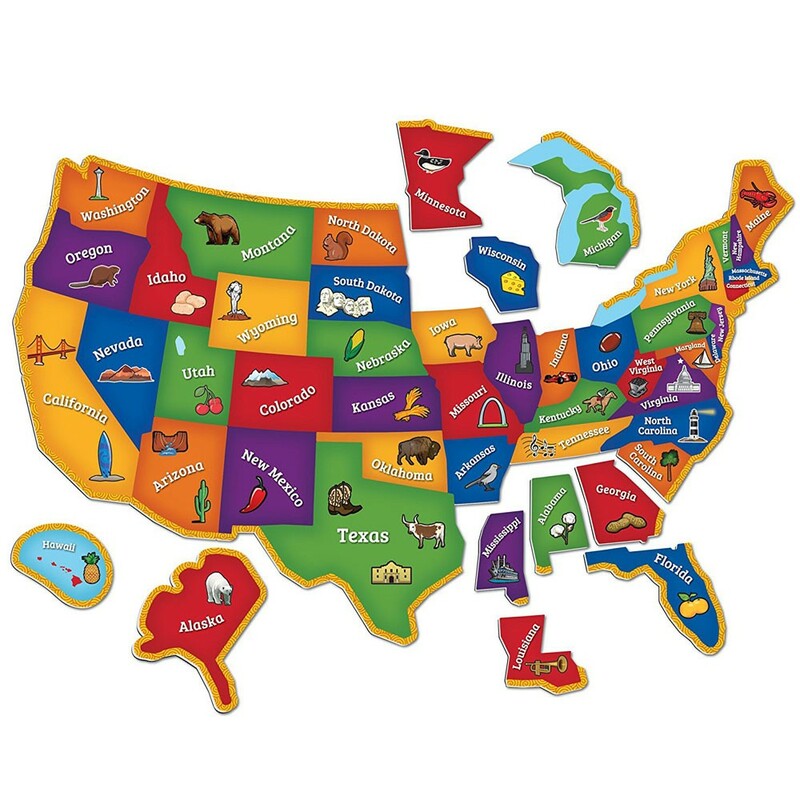 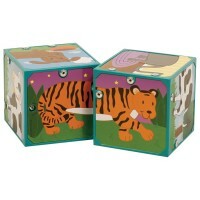 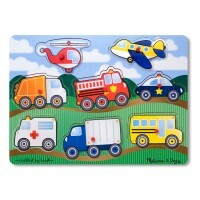 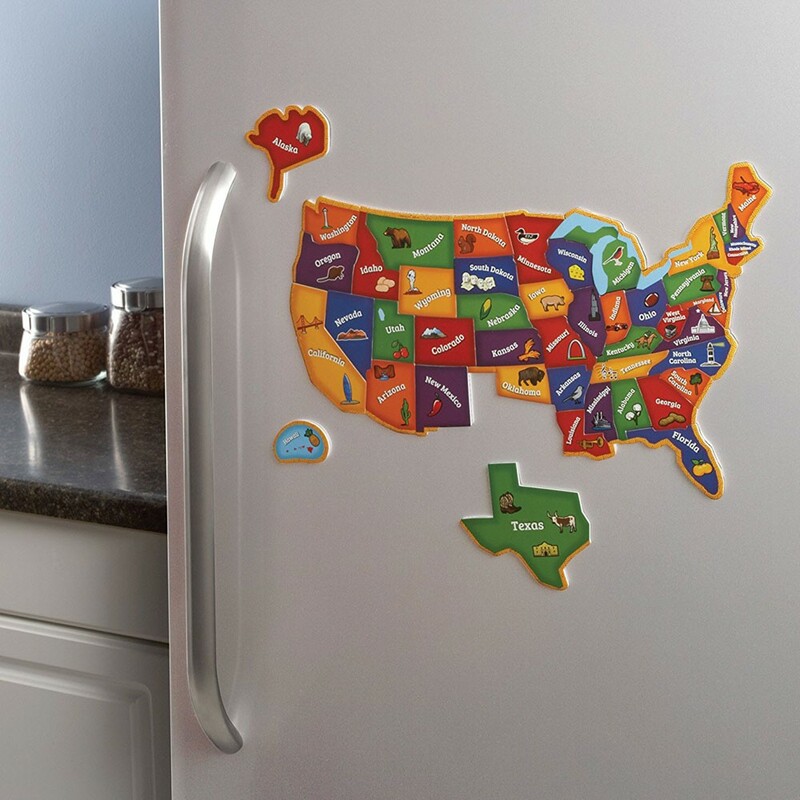 Durable magnetic puzzle pieces of this US map toy include state names, landmarks, plants, animals and more! 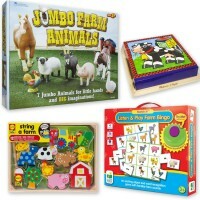 This fun, interactive puzzle map by Learning Resources will help little learners learn geography-state names, landmarks, plants, animals and more! 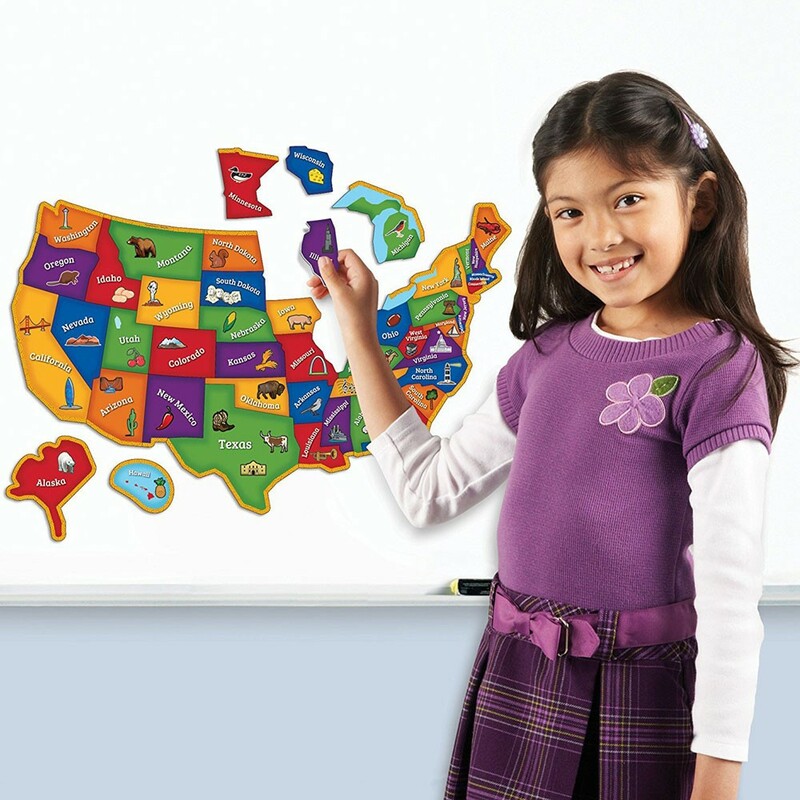 Each of the 44 pieces matches an outline to help children put the correct piece in the correct spot. 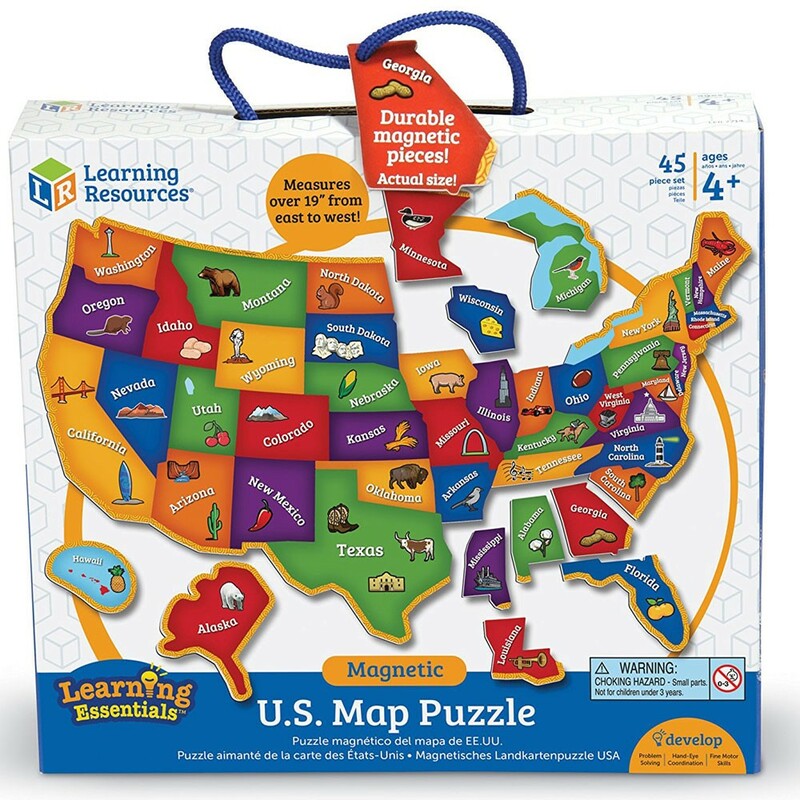 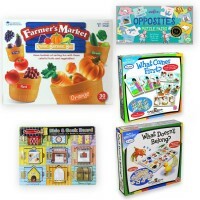 Perfect for school or home, Magnetic USA Map 44 pc Puzzle from Educational Toys Planet is great for working on fine motor skills. 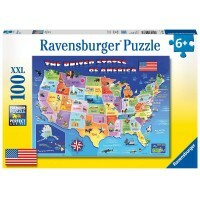 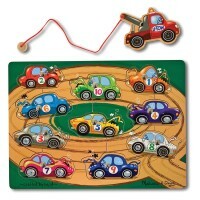 The magnetic puzzle measures 19 x 13 inches when complete. 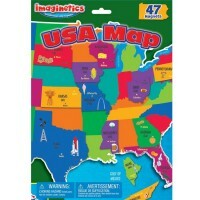 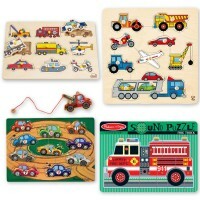 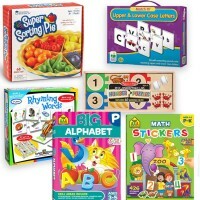 Dimensions of package 8" x 10" x 2.5"
Write your own review of Magnetic USA Map 44 pc Puzzle.